As the country marks the World AIDS day today, many steps have been made, especially in the prevention of the disease that killed 940 000 people in 2017 alone. According to UNAIDS, 77.3 million people have been infected with HIV since the start of the epidemic while 1.8 million people got infected with the virus in 2017. To reduce the spread of the disease, Kenya launched Pre exposure prophylaxis (PrEP) in May 2017 in a bid to protect HIV negative people from contracting the virus in cases of sexual encounter with HIV positive partners. The drug is also recommended for people who are at high risk of sexual violence. A walk into Nairobi’s Kibera slums presents one with a myriad of options to access various drugs over the counter. On a Saturday afternoon, I visit a pharmacy in the area to buy a dose of prep. In utter shock, the pharmacist tells me she has no idea of the drug I requested. But she quickly consults with her colleague and gets back to me: “I am sorry we do not stock such,” the colleague replied. A visit to a different pharmacy, a branch of a popular pharmacy in Nairobi shows a different picture. Here, the pharmacist shows me adequate stock of Truvada PrEP. “We have enough stock of this but it is hardly bought. I think the high cost and its unpopularity could be the reason,” says Morgan Milimo the pharmacist who sought anonymity as he is not authorised to speak to the media. According to Milimo, a customer will be required to take a HIV test or come with the test results showing that they are HIV negative. This, he says, is to avert cases of misuse of the drugs. The importance of the clinical assessment is to rule out any contraindications (pre-existing conditions) that may prevent one from using the PrEP drugs due to the risks involved. However, there are many innovations around HIV testing for individuals who fear going to the facility for testing. Currently, there are HIV self-testing kits available in pharmacies where anyone can walk in and purchase the kit and test themselves in the comfort of their own homes or wherever they are comfortable. Nonetheless, they are advised to visit a health facility for further confirmatory testing. “Age, of course, is key to us just like any other pharmacy, we do not sell drugs to people under the age of 18,” says Milimo. Abuse of the drug, he says, may not be possible owing to its high cost. In this particular chemist, PrEP costs Sh5,000, a figure Milimo says is too high to allow abuse by young people. Daniel Were, Project Director Jilinde, Jhpiego, however, says the cost of PrEP shouldn’t arise because the government is providing PrEP free of charge. Were adds that there still exists gaps on the information that the public has regarding the drug. “We have noted information gaps at the community level such as assuming PrEP should be used the same way as Post Exposure Prophylaxis (PEP). This is why we continue to invest in creating wide scale awareness about PrEP and addressing some of these misconceptions,” says Were. According to Nascop, Kenya will need Sh3,105,967,747 to finance PrEP implementation within the 2018/19 financial year. Between now and 2021/22 financial year, the country will require Sh30,553,329,558 in order to ensure planning, advocacy and service delivery of the drug. The Framework for the Implementation of Pre-Exposure Prophylaxis of HIV In Kenya estimates Kenya’s financial gap in PrEP implementation at $314,298,668 over the five years. The plan by Nascop estimates the total cost of implementation of PrEP in Kenya between 2017 and 2022 to be $328,262,179 against $13, 3963,511 available resources. This leaves a financial gap of $314,298,668. Although the drug is free in public health facilities, Pre exposure prophylaxis (PrEP) is one of the drugs that pharmacists say cannot just be sold without the buyer meeting the required standards such as providing proof of a HIV negative status. Laura Fitch, Program Coordinator, Production Introduction & Access at AIDS Vaccine Advocacy Coalition (AVAC) says that although majority of PrEP users in Sub Saharan Africa are young girls and women, the region still records the highest gap between the target and actual uptake of PrEP. 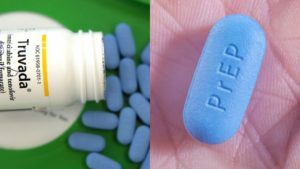 According to Were, the huge gap between eligibility and uptake is due to the fact that not necessarily everyone who presents himself f wants prep as a choice. “It is a matter of choice. There is also stigma in the community as well as myths and misconceptions around PrEP. If these are addressed, then we are likely to see change in trends and an increased uptake of PrEP,” said Were during the recent HIV Research for Prevention conference held in Madrid, Spain. Currently, there are about 25,000 to 26,000 Kenyans on PreP in Kenya. The fight against HIV, Were opines, needs unhindered access to HIV prevention products such as PrEP among individuals who need them most. He emphasizes on the need to increase awareness of the product, addressing stigma to PrEP, countering myths and misconceptions and making it widely available in many health facilities. To date, Jphiego has have over 18,000 clients who have been enrolled on PrEP through 86 clinics supported by the Jilinde project in partnership with the national and county government (10 counties) and collaboration with other partners. Kenya as a country has also made great strides as a whole and we are seeing progressive PrEP uptake. In order to ensure adherence to PrEP use, Jphiego is now using SMS and phone call reminders since we have learnt that users require ongoing support to address issues and challenges they face, as well as reminders for their clinic appointments. “Community support has also emerged as essential and therefore we are focusing on community wide awareness of PrEP and engaging key stakeholders to create a favorable environment and support for such user groups to effectively adhere to PrEP,” Were explains.